Vincent V. Patarino | Colorado Mesa Univ. Vincent V. Patarino, PhD, received a Bachelor of Science in journalism, a Bachelor of Arts in history, a Master of Arts and a PhD in early modern European and English history, all from the University of Colorado, Boulder. An associate professor of history at Colorado Mesa University, Patarino teaches History of England to 1660, History of Modern Britain, British Empire, Renaissance and Reformation, Modern Warfare, Latin American Civilization, European History and Film, Western Civilization, Introduction to Historical Methods and Senior Seminar in Historical Research. Patarino's courses often include significant group work, which engages students in ways not possible through traditional lecture. In the classroom, he is committed to creating a learning environment that integrates and promotes diversity, community and active participation among students. Patarino strives to engage all learning styles, recognizing the value of gender and cultural diversity while fostering a sense of community and motivating students to take the initiative in their own learning experience. He believes that by viewing themselves as individuals within an interactive, class community, students can more effectively work together to achieve critical and cultural awareness, heightened scholarship and historical appreciation. As students become more proficient in group work and critical writing, they will recognize the effectiveness of presenting a clear argument, the value of presenting multiple viewpoints and the efficacy of effective collaboration. They will also come to realize the power of their own voice and intellect in connecting with other people, engaging in analysis and evaluation and seizing the opportunity to shape their learning experience. Patarino is a cultural and social historian and is currently investigating the religious lives of early modern English sailors, c. 1500-1688. He considers himself a dedicated Anglophile. As a student of popular culture, he is especially interested in how film and history intersect, and how forms of stereotype and racism affect popular media, including television, film and comic books. Patarino has conducted research at a number of historical archives in Great Britain including the British Museum; the National Archives, Kew; the Lambeth Palace Archives, London; the Bodleian Library at Oxford University; the Canterbury Cathedral Archives; the Bristol Record Office; the East Sussex Record Office, the Ministry of Defense Admiralty Library, London; the National Maritime Museum Library, Greenwich and the library of the Institute of Historical Research, London University. He has also conducted extensive research using various document collections of the Center of British and Irish Studies at the University of Colorado, Boulder. Patarino has taught history courses as a lecturer at the University of Colorado, Boulder and Metropolitan State University. He is Director of the annual CMU Holocaust Awareness Series and Western Slope Regional Coordinator for National History Day in Colorado. He is a founding and current member of the SBS Barry Michrina Memorial Lecture Committee. He is also a member of the executive committee of the Rocky Mountain medieval and Renaissance Association. 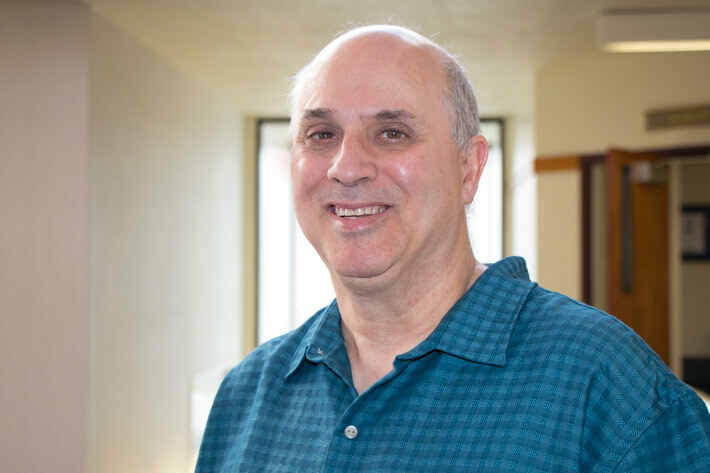 Patarino served previously as a member of the Faculty Senate Assessment Committee and the SBS Scholarship Committee. "The Man in the Shyppe that Showeth the unstableness of the World: Social Memory and the Early Modern English Sailor, 1475-1650," Quidditas, Journal of the Rocky Mountain Medieval and Renaissance Association, 37 (2016): 151-186. "The Religious Shipboard Culture of Sixteenth and Seventeenth-Century English Sailors" in The Social History of English Seamen 1485-1649, edited by Cheryl Fury. Woodbridge, UK The Boydell Press, 2012. "Review Strictly Science Fiction A Guide to Reading Interests," Colorado Libraries 29, no. 2 (Summer 2003) 45-46. "Armageddon Group Exercise." From Bright Ideas to Best Practices Teaching that Enhances Learning Fall Conference 2002. Metropolitan State College Office of Academic Affairs. (Fall 2002) 65-66. "Special Collections The Heritage of Iberia Hispanic and Portuguese Language, History, and Culture." Colorado Libraries 24, nos. 3-4 (Fall and Winter, 1998) 43-57; 35-41. "Archives and Special Collections Women in Society History and Social Change." Colorado Libraries 20, no. 2 (Summer 1994) 34-41. Contributor to Finding Guides to Selected British Studies Collections of the University of Colorado at Boulder Libraries University of Colorado, 1992, 1996, and 1998.